The European Court of Justice (ECJ, the EU’s supreme judiciary instance) [last Wednesday] issued a judgment (C=34/10, Brüstle vs. Greenpeace) clarifying that (1) no patents can be issued for inventions involving “the use for human embryos for industrial or commercial purposes” as this would be “contrary to order public or morality”, and (2) that this prohibition also includes the embryo at earliest stages of its development. In other words: a human being deserves protection from the moment of conception. The key passages of the ruling, which provide a very complete protection to the embryo, are found [here]. Oliver Brüstle, the stem cell researcher of Bonn University whose patent claim had been at the origin of the legal dispute, lamented that “with this judgment, embryonic stem cell research is out of business” and warned that cutting-edge biotechnical research would from now on take place elsewhere, but not anymore in Europe. These comments and predictions are, of course, blatant nonsense. With this judgment, Europe still can continue to be a place where cutting-edge research can take place. But the focus of research activity will be shifted to technologies that are ethically unproblematic, such as research on the use of adult stem cells. And indeed it is to be hoped that the ECJ’s judgment will lead to such a shift not only in Europe, but worldwide. Of course, Brüstle and like-minded media and politicians will not cease to campaign against what they see as “too much morality”. With this comment, therefore, I want to provide a short analysis of the real implications of yesterday’s ECJ judgment, whose importance cannot be overestimated, but which nevertheless must be understood within its context. 1. In the first place, it should be noted that the ECJ (following herein the conclusions submitted by Advocate General Yves Bot) carefully avoided making a statement on moral issues. The Court’s one and only task was to answer the question: What is a human embryo?With the EU Biopatent Directive not providing a legal definition, the question had to be answered by mere common sense. And that’s what the Court did: it is simple common sense that the term “human embryo” includes all stages of development beginning with conception, and that it is not possible for the scientific community to manipulate the clear meaning of the law, and hence to circumvent it, by inventing new names for the first stages of embryonic development. As Brüstle and others would have it, a “blastocyst” or a “zygote” is not yet an embryo, not yet human, and therefore not possessing human dignity. Such opinions however, are not science, they are mere sophistry, guided by economic self-interest. The mere common sense statement that the existence of the human embryo begins with conception is, of course, not defamatory of anyone. If it were, then every factual finding of a law court would be. 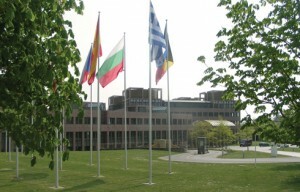 In this context, it is also worth noting that it is not the ECJ who states that “the use of human embryos for industrial and commercial purposes”, but that this statement is explicitly contained in Article 6 of the EU Biopatent Directive, which is the provision that the Court was called to interpret. This is thus not just a whim of some judges, but it is the clearly stated position of the EU legislator. Not more and not less. 2. As a second point, I would call the readers’ attention to the fact that the judgment directly affects only the question of the patentability of inventions involving the use of human embryos. It therefore seems appropriate to elucidate the implications of the judgment first from the perspective of patent law and the economic considerations underpinning it. A patent, as everybody knows, is a trade monopoly that, for a limited time period, confers to the patent holder the possibility of controlling the use that is made of his invention. If a patent is granted, the invention can only be used by the inventor himself and by those to whom he has given his permission to use it. Inversely, if a technology cannot be patented (as is now, according to yesterday’s ECJ judgment, the case for inventions involving the use of human embryos), it becomes immediately available to everyone who wants to use it. Paradoxically, therefore, the immediate effect of the judgment is that the technology that Mr. Brüstle wanted to obtain a patent for is now available to all and sundry, which facilitates its use. As such, the EU Biopatent Directiveas prohibits neither the use of human embryos for research purposes, nor the commercial or industrial exploitation of the technology obtained from such research. It only excludes such technology from patenting. Nevertheless, the Decision is of great practical importance. Biotechnological research is cost-intensive, and nobody will invest in it if the results cannot be patented. Without a patent, the investment made to finance research cannot be recouped. And if, despite this, someone nevertheless finances the development of such unpatentable technologies, he risks that his competitors will have a free ride once these technologies can be commercially exploited. As a consequence, it is to be expected that available research funding for stem-cell research (which will certainly not diminish as a result of the ECJ judgment) will now be directed to ethically uncontroversial areas, such as the research on adult stem cells. And this really is good news: while the ethically controversial research on embryonic stem cells promoted by Brüstle has never led to any therapeutic use, the research on adult stem cells has yielded a great quantity of new and highly efficient therapies. Many a scientist who once was an assiduous advocate of using embryonic stem cells, has given up: the gold rush is over. This may in fact be one of the reasons why the ECJ has found it relatively easy to adopt the judgment it issued yesterday. The warning, by Brüstle and others, that this might prevent the development of an important and valuable new technology lost much of its credibility, if it ever had any. 3. My third point concerns the question whether, as Brüstle (and his supporters in politics and media) warned, cutting-edge research will, as a result of this judgment, from now on take place everywhere else but in Europe. In part, this question is already answered: the available funding for research will not diminish as a result of this judgment, but it will go to research fields that are less controversial and more promising than Mr. Brüstle’s research on embryonic stem cells. But there is a second point to be made. While continuing his research activities in Germany, Mr. Brüstle is still able to obtain and enforce patents in other jurisdictions than the EU. And if, as a consequence of yesterday’s defeat, he decides to leave the EU and go elsewhere, the situation remains the same: a patent issued in another jurisdiction, e.g. in the US or Japan, is not enforceable in the EU if it concerns a technology involving the use of human embryos. Thus, the ECJ decision affects the commercial exploitability, and hence the value, of any technology involving the use of human embryos, irrespective of where, and by whom, it is developed. With the EU being the world’s biggest patent jurisdiction, this will have a tremendous impact on stem cell research worldwide. The question of where the patent holder is seated is, by contrast, simply irrelevant. Mr. Brüstle’s threat that all cutting-edge scientists will leave Europe was just an attempt to manipulate the public opinion and to intimidate judges. It is good that this ugly strategy has proved unsuccessful. 4. Let me now turn to a fourth point: the wider implications of the ECJ judgment. As noted above, the judgment does not, as such, lead to a legal prohibition of the use of human embryos. But it does imply a very clear statement on the immorality of such activities, be they labelled “research” or otherwise. This comes very timely. Following relentless campaigning by Mr. Brüstle (and some politicians and media supporting him), Germany has recently liberalised its restrictive provisions concerning the import of embryonic stem cells, the production of which remains prohibited in Germany. This liberalisation, which has turned the once solid protection afforded to human embryos into a mere hypocrisy, is now deprived of its raison d’être. There is hope that the German Bundestag, as a result of yesterday’s judgment, might reconsider that unfortunate decision. And it could even be that those EU Member States that, like the UK or Belgium, have in the past followed an extremely permissive policy that afforded no protection at all to the human embryo and allowed scientists to engage in activities that seem to stem directly from the laboratory of Dr. Frankenstein (such as the creation of human chimaera), will take the hint and return to a more responsible approach. If, as the Biopatent Directive clearly expresses, the use of human embryos for industrial and commercial purposes is immoral, and if (as the ECJ has now found) this applies (a) to the human embryo as from the moment of its conception and (b) to all research activities that may lead to industrial and commercial use, then such use must be legally prohibited. It seems only logical to prohibit not only the patenting of such use, but also the activity as such. This is thus the next step that logically and unavoidably follows from the judgment. 5. Finally, as a fifth point, it seems that the same conclusion must be drawn for any other activity that involves the destruction of a human embryo, be it in a procedure related to assisted procreation (where usually several embryos are created in vitro, of which one is implanted into a woman’s womb, and the others destroyed), or in the context of abortion. Both have in the past been justified with sophisms according which, in the first stages of its development, the human embryo was not (yet) a human being, and hence not deserving of protection. But as a result of yesterday’s judgment, this sophistry has lost all its credibility. A great day for human dignity, therefore. Thanks be to Greenpeace, who courageously fought this lawsuit to the end, to Advocate General Yves Bot, whose conclusions are a paradigmatic example of legal common sense, and to the ECJ judges who followed his reasoning.